This injury occurs mainly in rugby scrums, boxing or wrestling as a result of a shearing blow. Repeated injury can lead to chronic swelling, commonly known as ‘cauliflower’ ear. Tender, tense, collection of blood, usually in the front of the ear lobe. The overlying skin may be red or bruised. Apply ice and firm compression to the acute haematoma (sudden bruising). Carefully pack a pressure dressing (cotton wool soaked in collodion) against the ear, following the contours of the outer ear, and bandage firmly. Ask the parent/ guardian to examine the ear daily to assess progress. 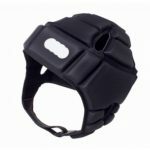 The player may return to non-contact sports immediately but protective headgear is required for return to contact sports. Protective headgear (e.g. scrum caps) should be worn to prevent trauma to the ears. A blow to the side of the head may occasionally injury the eardrum. Pain, bleeding from the ear and difficulty in hearing. Should be seen by a doctor. 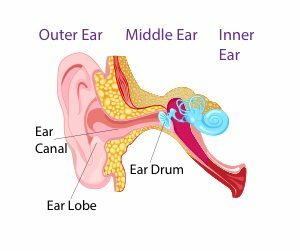 Perforation of the eardrum usually heals spontaneously. Antibiotic therapy may be given to prevent infection. Keep the ear dry until the perforation is healed.